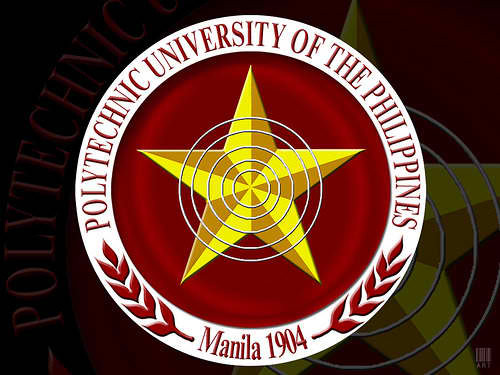 The Polytechnic University of the Philippines (PUP) had just opened the online application for 4th year high school students who want to take the PUP College Entrance Test (PUPCET). PUPCET applicants must visit PUP's iApply website to register online. There is no manual application for the PUP Santa Mesa Campus. The only option for the PUPCET applicants who want to study at the PUP main campus is the online application. Please take note that each applicant is only allowed to apply and take the PUPCET at one campus and only once this school year. Double application will result in the nullification of the applicant's PUPCET result. *The applicant should be a graduating high school student of the current school year. *High school graduates who are not enrolled in any technical, diploma or degree program after graduating from high school. *A Philippine Educational Placement Test (PEPT) passer can also qualify to take PUPCET. The PEPT passer should have scores of 82 or higher in Mathematics, Communication Arts (English and Filipino), Science, and Araling Panlipunan. *An Alternative Learning System Accreditation & Equivalency (ALS A & E) Test for Secondary Level passer can also qualify the PUPCET. The ALSA & E passer should be eligible for admission to college and has 100 or higher Standard Score (SS) and an essay writing proficiency level of 2 or higher. Applicants should pay the 500 pesos PUPCET fee. Payment can be made at any Land Bank of the Philippines (Landbank) branches nationwide. The PUPCET fee is nonrefundable and nontransferable. Applicants that applied for PUPCET through the manual application should pay at the PUP Cashier located in the campus. *PUPCET Application Payment Voucher that was printed from the PUP iApply website. *PUPCET fee payment receipt from Landbank. *Original Form 138 (F138) with school dry seal for high school graduates that is not yet enrolled in any technical, diploma or degree program. Certified true copy can be accepted if the original F138 is lost. *Duly authenticated copy of the PEPT or ALS A&E Test Certificate of Rating, certified by the DepEd-BALS. *School ID for current high school students. Any valid ID with picture for high school graduates. Applicants to PUP Santa Mesa Campus can claim the PUPCET permit at Admission and Registration Office (ARO) located at the Ground Floor of the West Wing of Santa Mesa Campus Main Building. Online and manual applicants to other PUP campus can claim their PUPCET permit at the Admissions and Registration Office located within each campus. The permit can be claimed from each ARO from 8:30 AM to 4:30 PM, Monday to Friday. Applicants to PUP College of Technology should personally claim their permit from the Registrar's Office, after payment at the cashier's office. The permit can be claimed from 8 AM to 5 PM, Monday to Friday. If you have questions regarding the PUPCET, please call the PUP Admissions and Registrations Office at telephone numbers: 716-7832 to 45 local 287 or 322. You may also visit the PUP iApply website. If you are looking for tips on taking the PUPCET, please visit my post, Tips for PUPCET. May PUPCET REVIEWER booklet po ba na naaavail ?